Have You Cracked or Broken A Tooth? Dr. Rudnick is your trustworthy emergency dentist in West Palm Beach, Jupiter, Palm Beach Gardens, and the surrounding areas. Unfortunately, teeth can be vulnerable, but with Dr. Rudnick you can recover your smile. There may be a number of causes for your tooth cracking or breaking. Perhaps you bite down on some food and then “crack!” – you feel your tooth weaken. Maybe you’re playing a sport and someone elbows you in the mouth. The most common reason is due to tooth decay or perhaps a filling weakening a tooth. Whatever the reason, it is not a pleasant experience. The most important step is not to panic but rather to seek help as soon as possible. 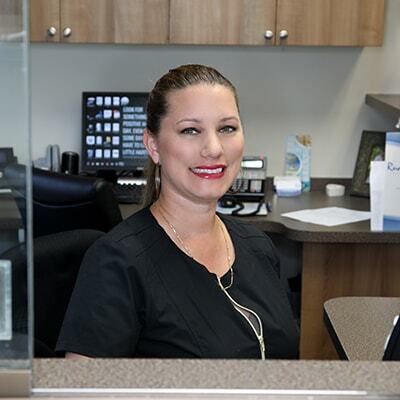 Acting fast will help your emergency dentist in West Palm Beach prevent your tooth from sustaining further damage and have the best chance to save it. Using his advanced training, Dr. Rudnick will help lessen your pain and apply the ideal treatment without any judgment (so don’t worry if you haven’t visited us for a while). Don’t ignore your broken/cracked tooth or toothache. Act now to save your smile! Our main priority when you have damaged a tooth is your comfort and saving your tooth. Once you have a toothache, the earlier you contact our office the simpler the procedure will be. If you delay, then it can lead to infection and other complications, so please contact us as soon as the damage has occurred. Once you arrive at our office, Dr. Rudnick discusses what caused the trauma and will then use the latest technology to assess how we can help you. During this process, you will be able to see the extent of the damage on the computer screens while your dentist explains the best options for you. Whatever treatment you need, be assured that we use the latest technology and techniques to get your smile back to full health. If your concern is urgent then please call us. See our financing options with CareCredit or Lending Club!